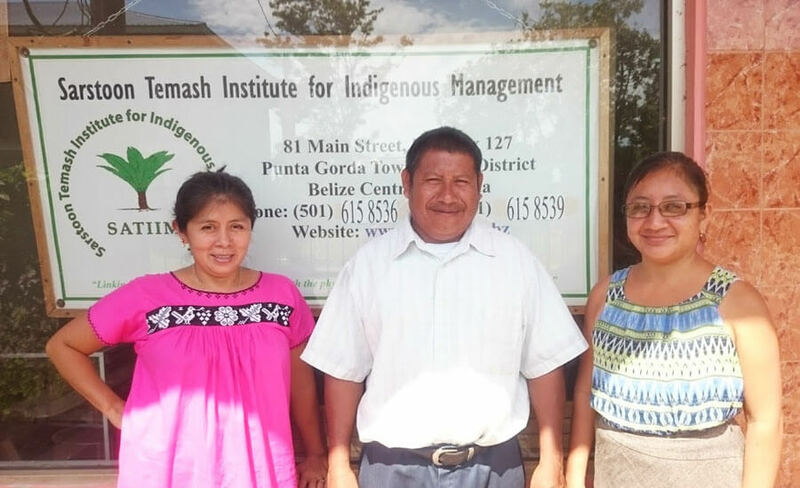 On Aug. 9, in the context of the International Day of the World’s Indigenous Peoples and the 10th anniversary of the UN Declaration on the Rights of Indigenous Peoples, the Sarstoon-Temash Institute for Indigenous Management (SATIIM) launched the Maya Land Registry to protect their ancestral territories due to the Belizean government has not complied with a Caribbean Court of Justice (CCJ) ruling of 2015 that ordered it to “create an effective mechanism” to identify and protect Maya lands in accordance to their traditional governance. “This is an historic moment, but it is just the beginning. We celebrate that the Maya have taken the initiative to implement the CCJ order,” Tzalam added. Crique Sarco is a Maya Q’qchi community of 250 residents, located in the south of the country, about 40 miles from Punta Gorda. Is the first Maya community to ask for SATIIM’s assistance to prepare for the legal mechanism specified in the CCJ ruling. Territorial conflicts erupted in 1994 when the Mayan and Garífuna communities of southern Belize discovered that the government had stripped them of their ancestral lands to create the Sarstoon-Temash National Park. “Not much later they awoke to the sound of the dynamite blasting seismic paths in preparation of oil drilling in this ‘protected area.’ The paths, wide enough for jeeps, ushered in new, illegal traffic into this unique ecosystem recognized by the Ramsar Convention on Wetlands,” explained SATIIM in its web site. SATIIM is an organization created in 1997 for the defense of the rights of indigenous Belizeans, and whose board of directors is composed entirely by indigenous leaders. In 2006, SATIIM got an historic victory with a Supreme Court judgment banning temporarily the use of dynamite in the park and demanded the government to develop an Environmental Impact Assessment. In 2013, the Supreme Court ruled that the oil exploration permits for the park violated the right of local communities to free, prior and informed consent, which is a powerful legal weapon for indigenous communities. “The SATIIM’s success opened the doors around the world. SATIIM’s legal precedent set the foundation for the recent ruling by the Caribbean Court of Justice that the government of Belize establish Maya communal land titles,” stated SATIIM, which is working with Maya communities to create the first replicable, participatory mapping and demarcation process in Belize. The Sarstoon-Temash National Park, which is managed by SATIIM and the Belizean forest service, encompasses 41,900 acres of forests, wetlands and mangroves. It has 13 different ecosystems and approximately 10 miles of coast along the Amatique Bay in the Gulf of Honduras. Is also habitat for numerous species of birds, mammals, reptiles, fish and butterflies. SATTIM will continue to work with Crique Sarco to develop an inventory of their land usage and customary governance practices, which, along with maps will define Maya jurisdictional and individual land rights for a complete registry listing. The Mayan population is around 10 percent of the country’s 270,000 inhabitants. This indigenous population is divided into three groups: Yucatan, Mopan and Q´eqchi. The first is originated from the Yucatan peninsula and arrived in Belize in the mid-19th century as refugees from the Caste War between the indigenous and the Mexican government. The Mopan Maya moved in the late 19th century from the Guatemalan region of Petén, escaping from forced labor, while the Q´eqchi settled in Belize around 1870 fleeing the slavery situation in which they were kept by German coffee producers. The current issues affecting the Belizean indigenous groups are mainly related to continued encouragement by the government of non-indigenous settlements, large-scale logging and petroleum development on traditional Maya lands. This not only continues threaten Maya communities but also the natural environment upon which their culture and livelihoods depends. Belize, which gained independence from Great Britain in 1981 and forms part of the British Commonwealth, is the only Central American country where English is the official language, although only 3 percent of the population speak it. This article was originally published at Latinamerica Press.